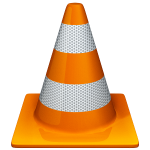 The VideoLAN team released version 2.1.5 of their VLC player a while ago. The development of this versatile multimedia player has slowed down quite a bit as the team seems to have more focus on improving the OSX and Android versions (the previous release for Linux was almost half a year ago) so I was not really in a hurry to provide new packages. The new 2.1.5 version is another maintenance release, mostly “fixes a few decoding bugs, on MP3, MKV” and the remaining changes are not relevant for our Linux based player. http://slackware.com/~alien/slackbuilds/vlc/ (only containing the versions that do not violate US patents). This repository is mirrored at http://taper.alienbase.nl/mirrors/people/alien/slackbuilds/vlc/ . 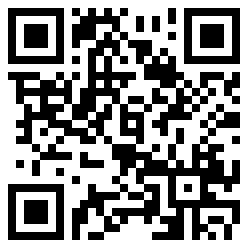 If you want to play encrypted DVD’s please install the libdvdccss package separately. http://taper.alienbase.nl/mirrors/people/alien/restricted_slackbuilds/vlc/ (alternative repository containing packages capable of AAC/MP3 encoding and encrypted DVD playback). Rsync access is offered by the mirror server: rsync://taper.alienbase.nl/mirrors/people/alien/restricted_slackbuilds/vlc/ . For BluRay support, read a previous article for hints about the aacs keys that you’ll need. Note that I only built packages for Slackware 14.1 & -current. I stopped creating packages for Slackware 14.0 and earlier because of the effort it takes to build 4 packages for every Slackware release. Posted: 2 August, 2014 in Slackware, Software. When seeking to a random point in a video, the picture becomes distorted, sometimes when you keep clicking the same portion of the seekerbar, it will suddenly appear normal. I don’t know what causes this, but if it helps i’m using the nvidia blob drivers and all default settings within vlc. If anyone knows how to stop this behaviour it would be appreciated, thanks. I Have that bug too, it only happens with the binary Nvidia driver. On my laptop with Intel driver this issue does not happen. For me using VA instead of VDPAU is workaround. I’m testing with some 4k videos, and without VA/VDPAU it’s unable to watch it(CPU: Phenom II). With VDPAU i get the same distortions as you, and with VA video plays ok but CPU load is way high compared to VDPAU(around 50% load). GPU cards is GTX460 with NVIDIA 343.22 driver. You can try VA and see if it fits your needs.